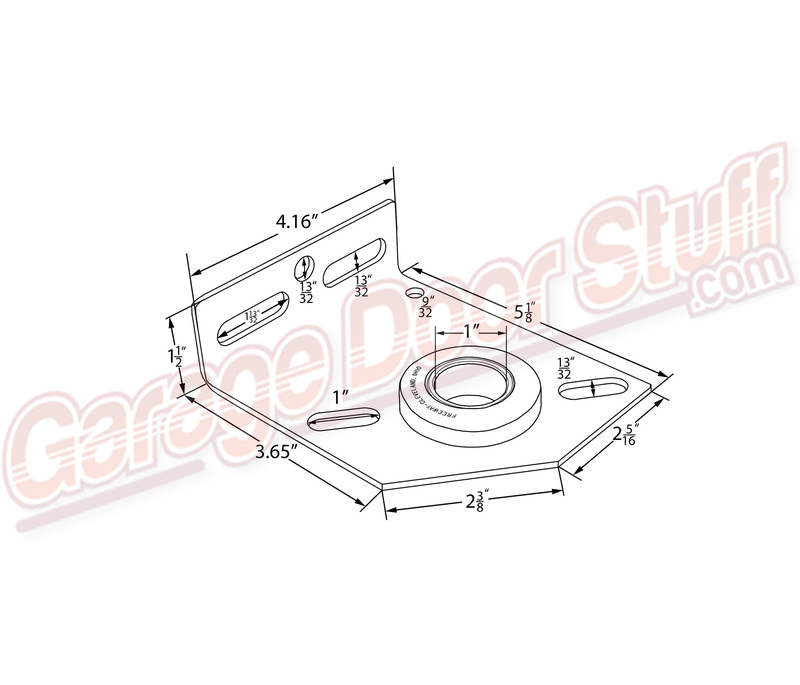 Center bearing plate for torsion spring garage doors. 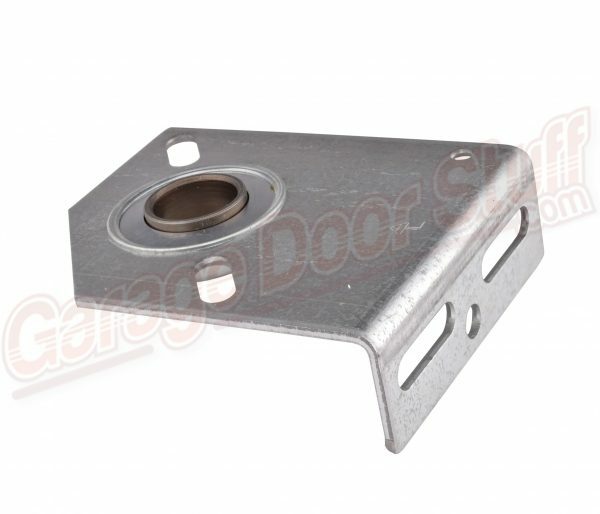 Torsion spring mounts directly to this garage door center bearing plate. Will work with a single torsion spring or a pair bolted together. 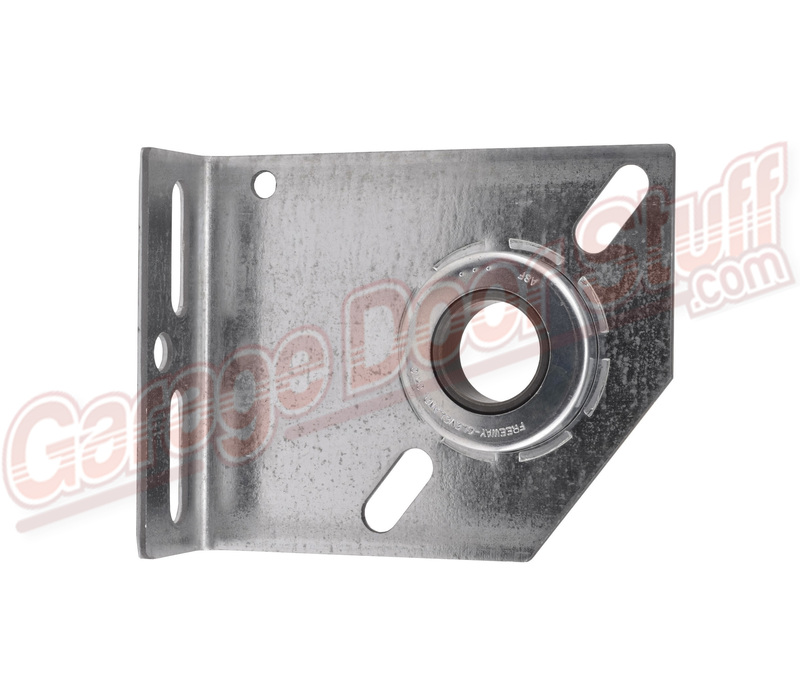 This is the most common center bearing plate in use on residential and light to medium duty commercial garage doors. Slotted spring mounting holes accommodate many different stationary spring cones / hubs of various diameters. 1-3/4″, 2″, 2-1/2″, 2-5/8″ inside diameter springs will all work with this garage door center bearing plate. 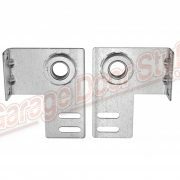 Regardless of the size of the torsion spring or springs that you will be attaching to this bearing plate there will be a lot of spring tension attached to the bearing plate, therefore using the above mentioned 3″ lag bolts is highly encouraged. 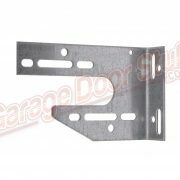 Good choice when upgrading from cheap, light weight bearing plates often provided with box store type garage doors. 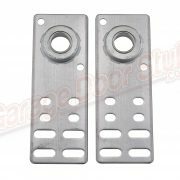 Also a good bearing plate to use when converting from extension spring to torsion spring or when adding hi lift to a garage door. This is a vary versatile bearing plate that can be used in many different applications. 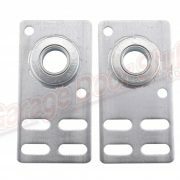 We stock several other center bearing plate options, end bearing plates, flat bearing plates and bearings as well.